If you had asked me back in the beginning to tell you why I teach, I don’t know how I might have answered. It wasn’t the money— back in my days as a teaching intern [in 1973], I was bringing home a mere $318 a month, which wasn’t much, even then. It wasn’t the hours—between graduate school and losing the battle to stay one step ahead of my thirty-nine fifth graders, I was putting in ridiculously long days. And it certainly wasn’t the chance to exercise my genius as an instructor—I was lucky if I could get through one day without a fight breaking out. No, there wasn’t much glory in working with kids who greeted me with, “I don’t do reading,” before I’d had a chance to learn their names. 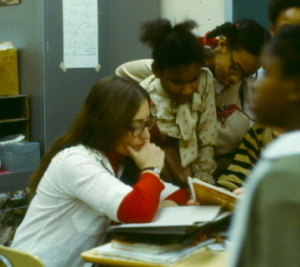 Nor was it heartwarming to teach kids who saw me more as an annoyance than an inspiration, kids who couldn’t care less that all I’d ever wanted my entire life was to be a teacher. I cried a lot my first year. I cried the day my whole class failed what I thought was a simple pre-test. I cried the day my kids wouldn’t sit down and be quiet while my supervisor was in the room. I cried the day a parent said that maybe her son would do better with an “older” teacher. And I cried the day I visited the home of one of my most difficult students and found her mother falling-down drunk before lunchtime. So what kept me in the game, especially that first year? Looking back, it took remarkably little to renew my sense of hope, or at least suggest that maybe all was not lost. I would come this close to throwing in the towel when a child would uncharacteristically come to class prepared, make a positive behavioral change, or help a classmate. I’d be sure I couldn’t make it through the day when someone would suddenly get subtraction or appear excited about a subject we were about to discuss. And just as I was about to give up, they’d finally sit still for a story or laugh at one of my jokes. For other teachers, perhaps it’s the progress, imperceptible as it may seem at times, the little connections, a hug here and there, or the realization that we might well be the only source of encouragement some child is getting right now. Perhaps deep down there’s the possibility that our excitement, or even our good intentions, somehow makes a dent, that our caring and commitment allow us, inevitably, to touch the future. But we give what we give because we can’t not give, and we give in the best of faith, because the evidence of our devotion is sometimes long in coming. We are tested again and again, and sometimes we just keep coming back for no good reason besides the fact that, for better or worse, we are called to teach. Maybe this is something only another teacher can understand: It’s not just what we do. It’s who we are. This piece was originally written as a forward from the book, Why I Teach, a collection of inspirational true stories by Esther Wright, M.A. © 1999, Prima Publishing, Rocklin, CA. This excerpt is now the introduction to Becoming a Win-Win Teacher. 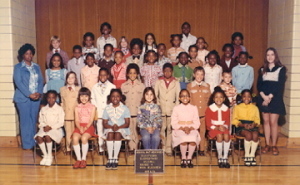 Photos show me with some of my students, Chartiers Elementary School, Pittsburgh, PA, mid-1970s. Seeing the progress in pupils’ engagement during classes and in their learning curve really made me going! We also respected each other, and this is a sound basis for everything. I agree. I wonder if people who are not teachers (or not living with a teacher or didn’t grow up with parents who were teachers) can fully appreciate the incredible demands of this job. Not just the hours, the out-of-pocket expenses, and the amount of work and skill needed to deal with a diverse group of students needs and abilities, but also the emotional and physical demands. Even in my 20s, there were many days I’d come home from work and collapse on the couch. Thank you for your comment.